I learned some very nice lessons in generosity and hospitality while spending these past few days in Belgium. My dear fried Guy whom I know from Oakland back in California was traveling here with his family visiting his original home and extended family and invited me to join up with them. They are such a generous and gracious family, going out of their way to make me feel so very welcome. I actually felt sad leaving them at the train station in Bruges this afternoon, as if it were my own family I was saying goodbye to. 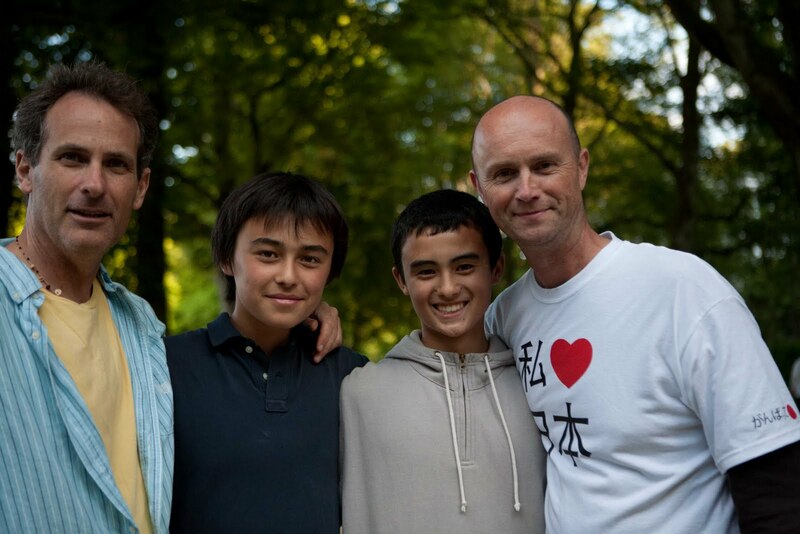 His boys are very dear to me and we had many playful laughs together. 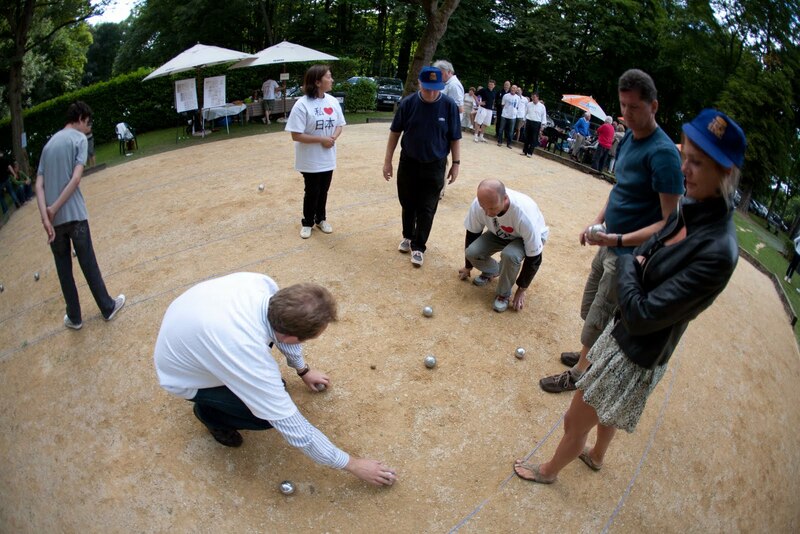 My first day there was spent with his family at a large petanq tournament (similar to Boules or Bocce). 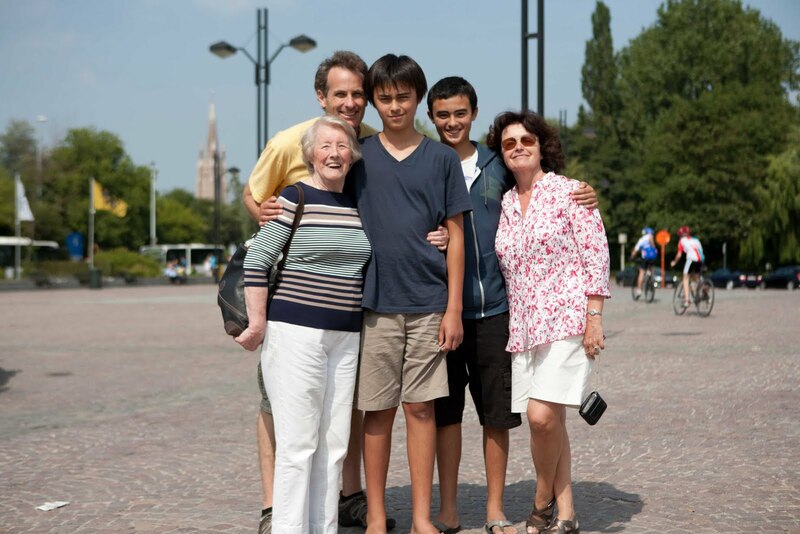 After that day, Guy and his wife flew back to the states, leaving me behind with his boys, his mother and his aunt. They treated me like one of their own and went out of their way to make sure I was well entertained and provided for. Yesterday the boys showed me around Brussels before taking a train to the seaside where we rode bikes and played at the beach. Today we spent much of the day in Bruges, a very old and beautiful town with many canals, churches (including one with a reliquary containing some of Jesus’ blood – go figure), and old beautiful buildings. They were so very kind to me. 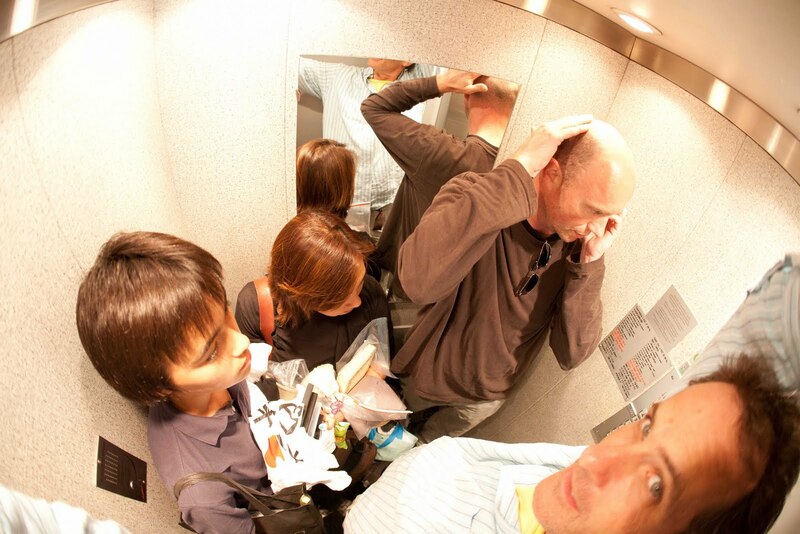 Not that it’s relevant here, but we had a fun (to me at least) moment when Guy, his wife, one of his boys and I got stuck in a very tiny elevator in his mother’s apartment building in Brussels. Eventually we managed to get it to work again, but we were stuck for a good 10 minutes trying to arrange for rescue. See picture. Anyway, although it’s difficult to describe hospitality and generosity, they simply went well beyond what I would ever expect, and certainly beyond what I am used to offering. Perhaps it’s a European sensibility, perhaps it’s just good people, but in either case, I feel even more like a part of their family and learned by example (the best way to teach for sure) about giving freely of oneself, one’s love and one’s time.